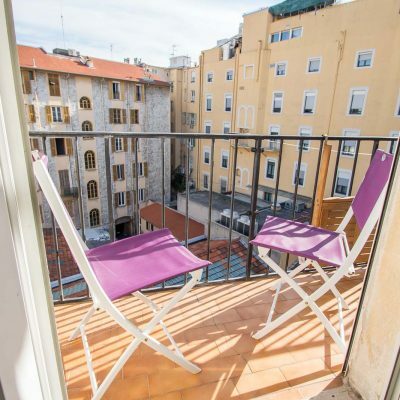 This studio has a glorious south facing balcony that gets the sun all day long. 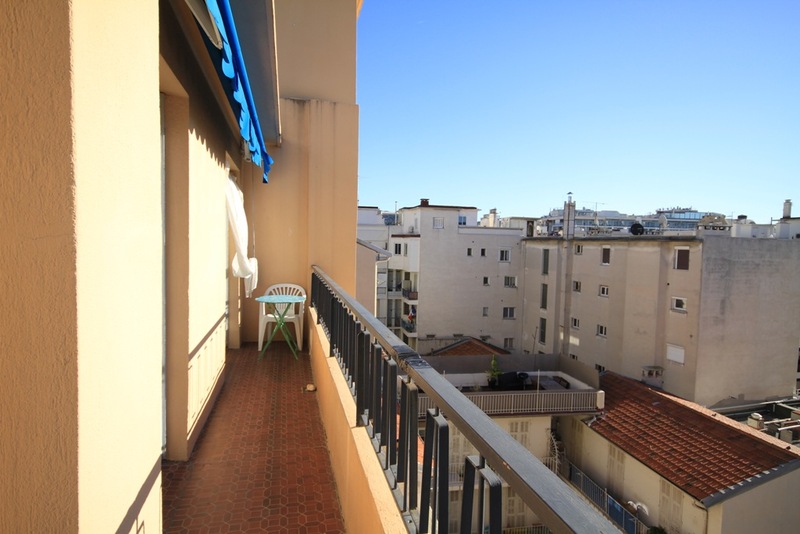 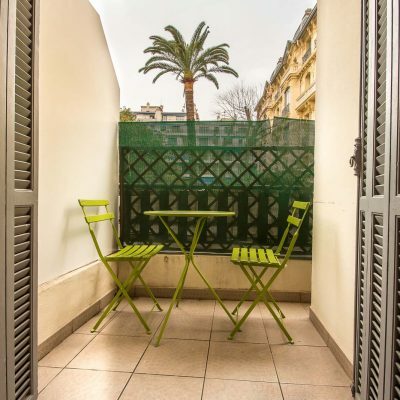 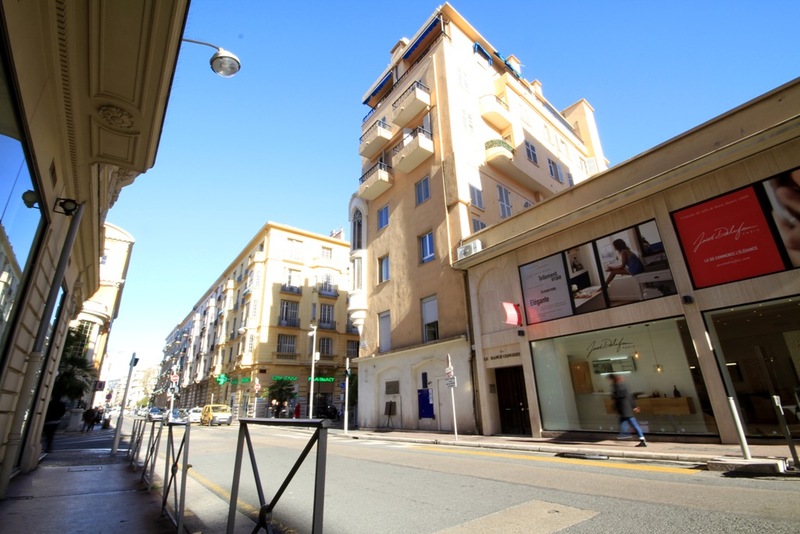 It is located right in the heart of the Carre d'Or, on the Zone Pietonne (rue Massena) and is just a couple of minutes walk from the beach. 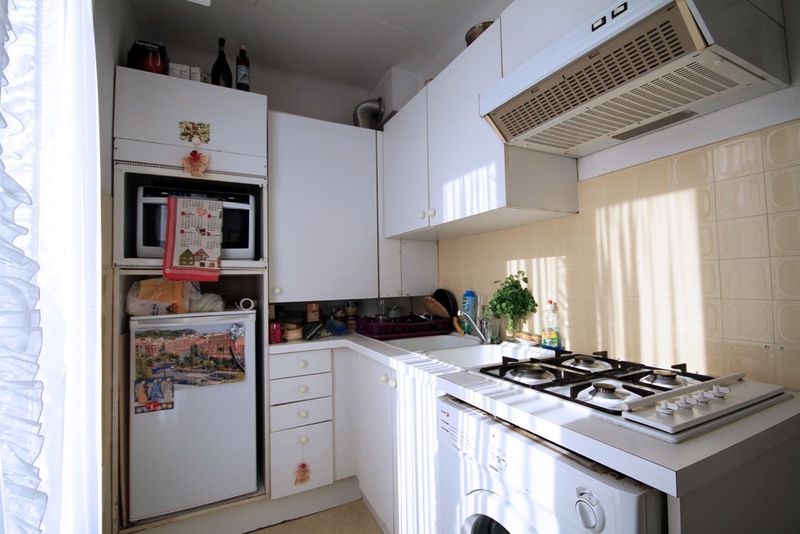 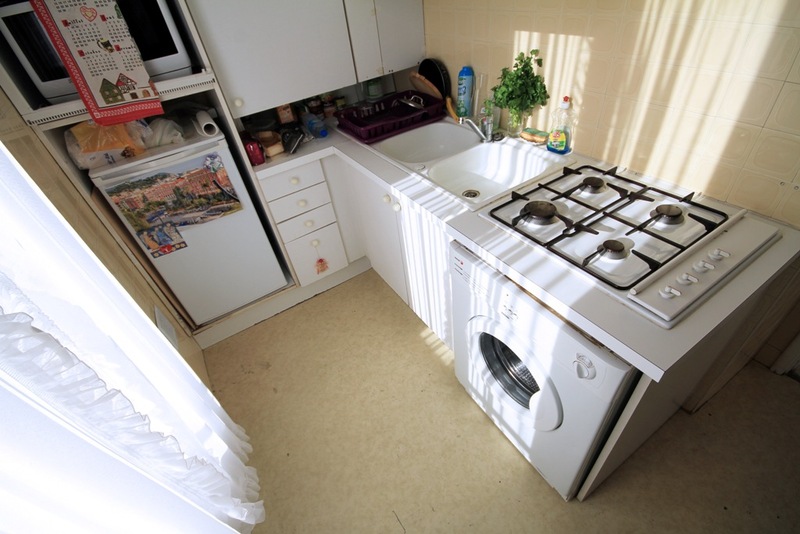 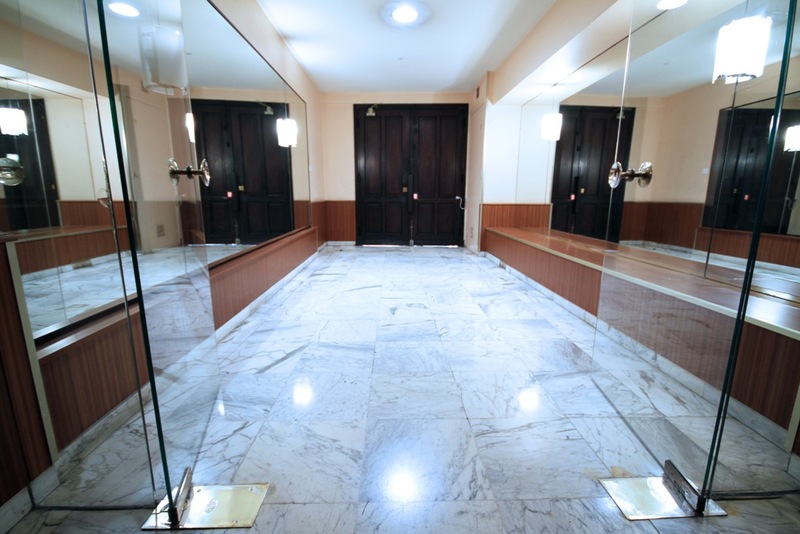 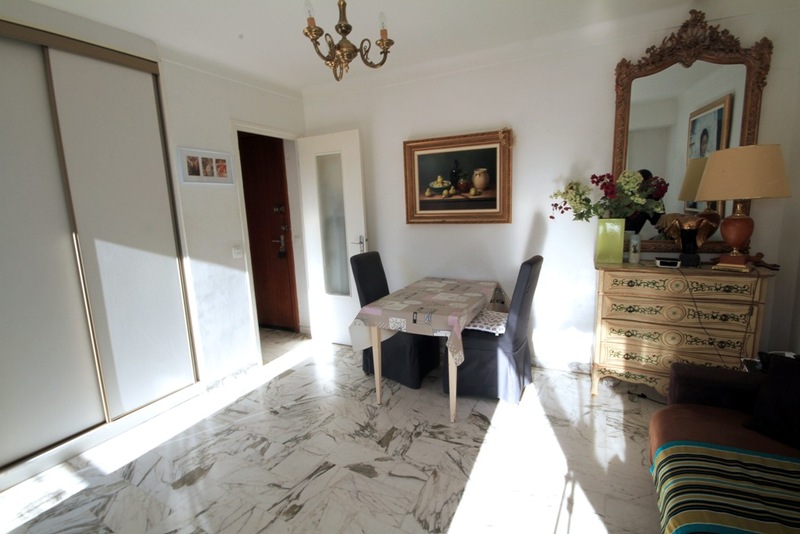 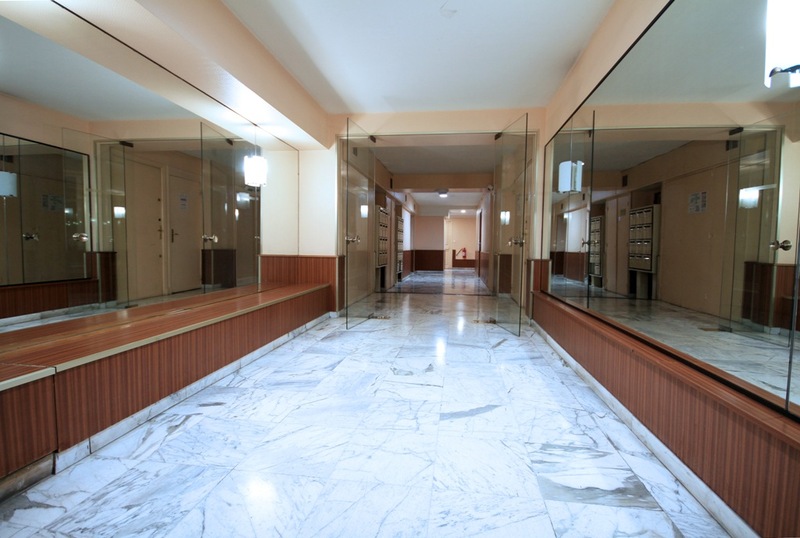 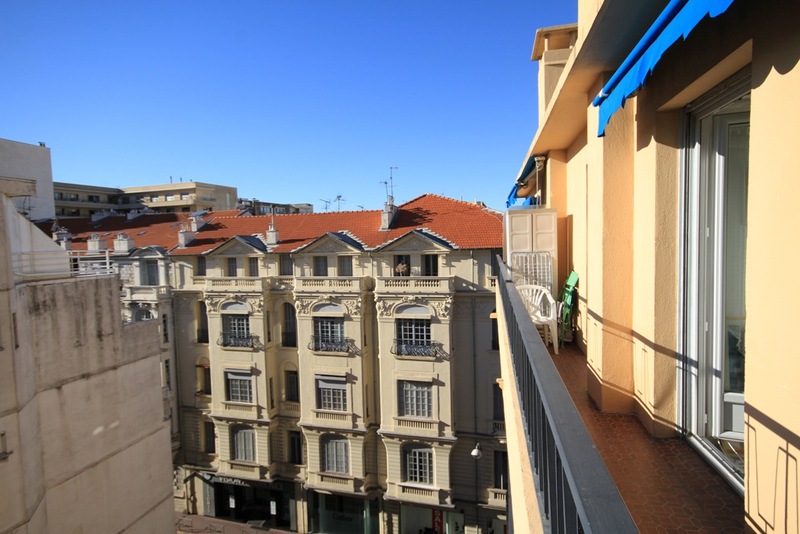 The building is in great condition and the apartment is on the top floor with lift. 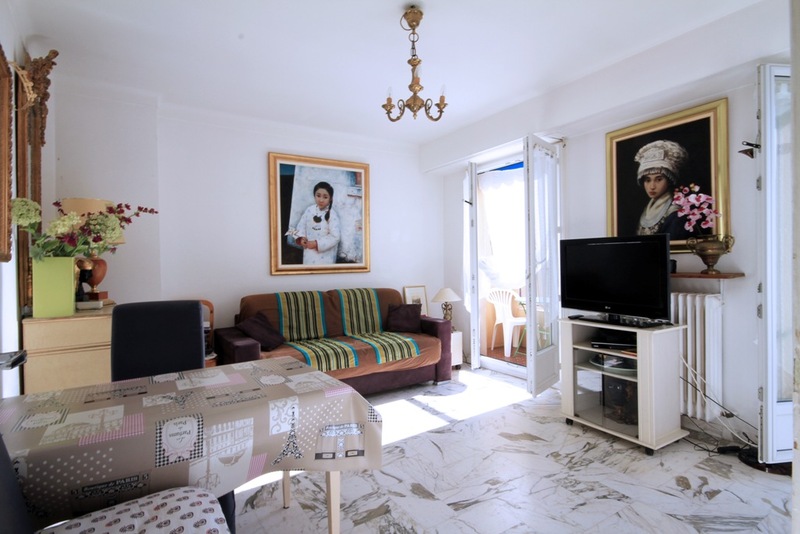 There is a good size living room, separate kitchen which also has direct access to the balcony, and a separate bathroom. 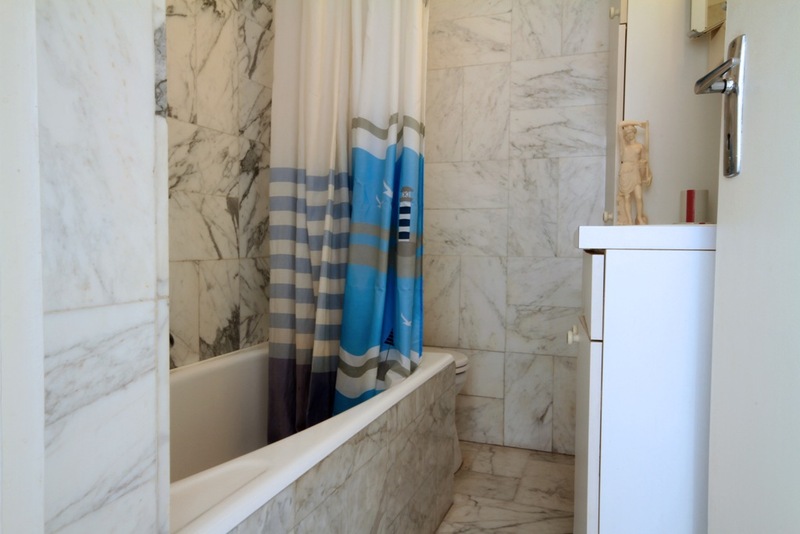 The apartment could use some updating but is perfectly usable or rentable as-is.